This is an easy and efficient diet that will help you lose 10 pounds in a week. The ingredients have many health benefits and the diet is proven to be efficient in short period of time. 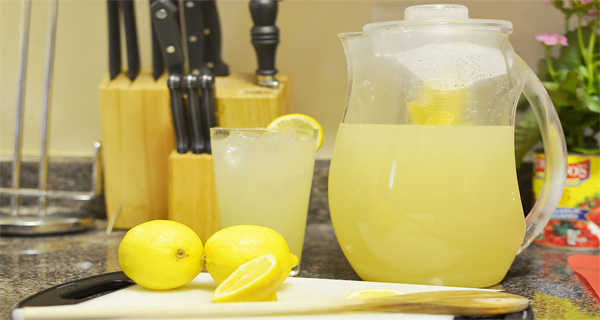 Start the day with a glass of cool lemonade – it will help you activate the metabolism and detoxify the body. After half an hour, eat 2 apples or 2 oranges or 1 big grapefruit. Besides the fruit, take a handful of nuts, almonds or hazelnuts, which are a great source of antioxidants. A fresh salad with olive oil and a little salt. Try eating dinner before 6 p.m. Make some lettuce salad with olive oil and little salt. Drink 1l of green tea (put 4 bags of green tea in 1l of water) before going to bed. Follow this regime for a week or 10 days, depending on how much weight you want to lose. Expect to lose 10 pounds in a week.